Fashion and brand new placemats fully show elegant.Greasy dirt can be easy to clean,washable and heat-resistant.Various kinds of designs to be chosen to match the decoration of your family.The use of placemats show fashion and high-quatity cultural taste of the owners,a delightful placemat that can make you are in happy mood when eating,it will help improve your dining experience and impress your guests,which is a stylish life style of modern life. 1.Match all kinds of styles of furniture,they can be plaed under cups,tablewares,vases and ashtrays as decorations to your dining tables and tea tables. 2.Used as placemats,coasters,potholders and heat pads on dining tables,tea tables and panios. 3.Home,hotel and business offices,conference tables,kitchen tables. 4.Attractive on wood table,use this when eat altogether during the dinner,BBQ ans so on. Ultra-durable, uv protected to resist fading, designed to last for years with daily use. Washable,non-fading,non-stain,Not mildew,Wipe Clean,Dries very quickly. 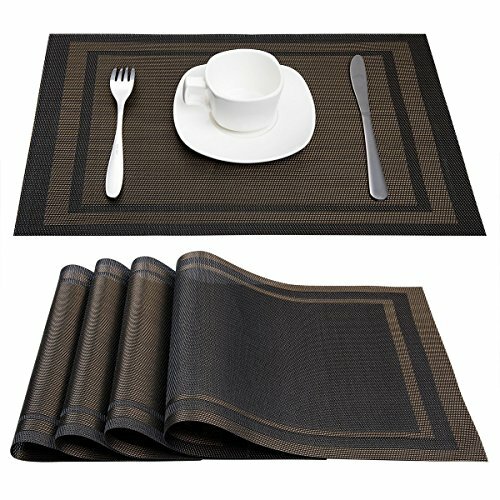 Top-grade exquisite design placemats feel good would be the best decoration and Protection to your tables. View More In Place Mats. If you have any questions about this product by Artand, contact us by completing and submitting the form below. If you are looking for a specif part number, please include it with your message.